The ultimate cheese and charcuterie knife. 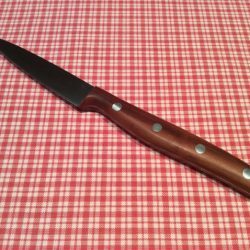 The Parmoulin combines a richly-coloured plum wood handle with the perfect blade for cutting sausage and cheese. 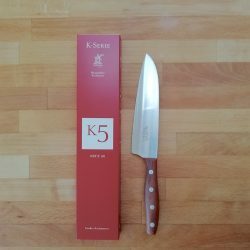 The blade has an undulated shape and is used with a rolling motion, slicing through cheese rind and parmesan with great ease. The stainless steel blade is ground using the same ‘blue-glazed’ technique as the Grandmoulin bread knife. 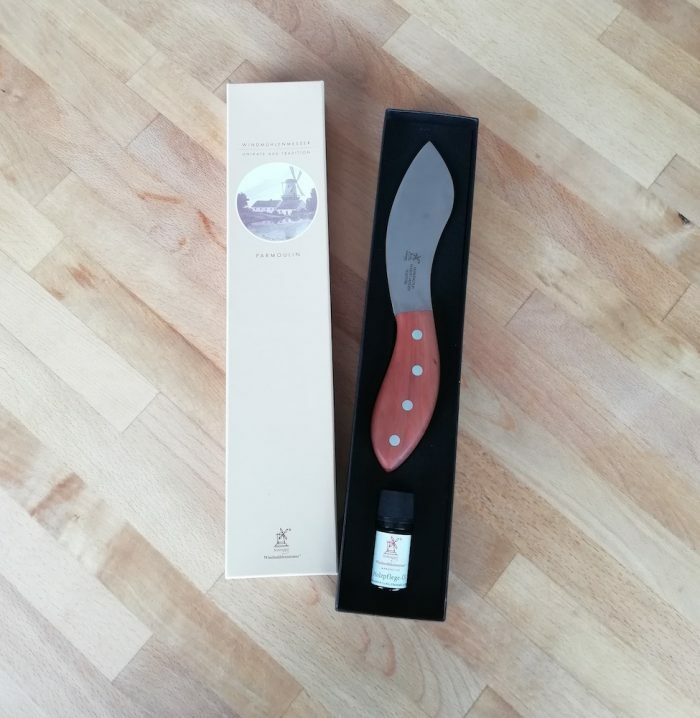 However, it is not ground quite as finely, so the blade is thicker than other Windmühle knives. 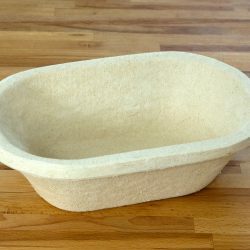 This provides stability and strength so that the blade will not be damaged by cutting pieces of parmesan or hard cured meats. 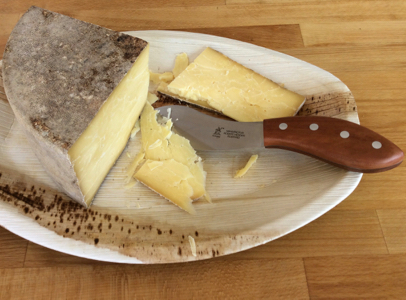 However, the blade is sharper than most parmesan knives, so that it also serves perfectly for cutting all cheeses. 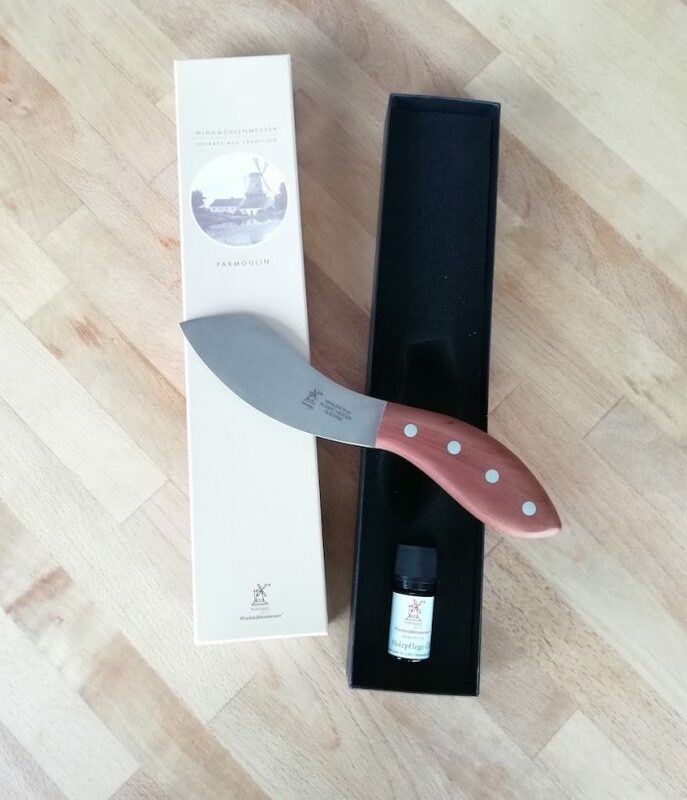 The Parmoulin is presented in a box with a bottle of natural wood care oil made from macadamia nut oil and lemon. 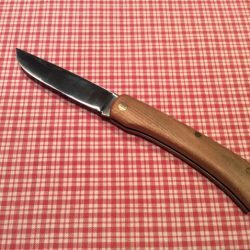 The blade length is 130 mm (5”) long and its overall length is 240 mm.